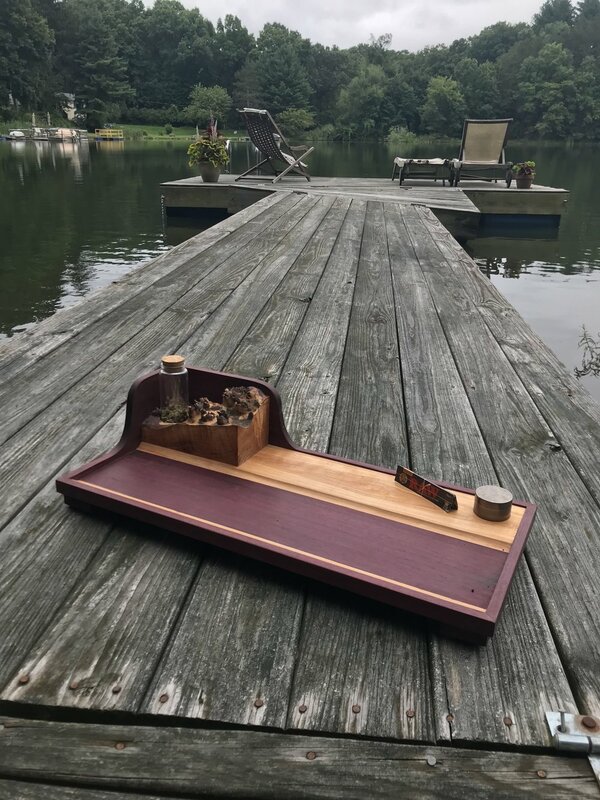 Inspired by the ornate woodworking of Chinese tea ceremony trays, our cannabis rolling stations are made to be displayed. The natural drama of contrasting exotic woodgrain decorates each one-of-a-kind piece. Like a delicate tea set or a vintage bar cart, our rolling stations will add a bit of beauty to your favorite ritual or make the perfect gift for the most inspiring hosts in your life.